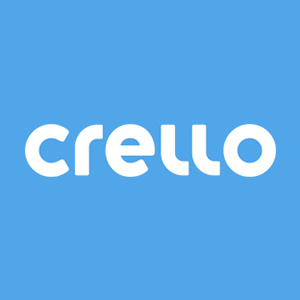 What social media platforms can I use Crello videos on? Are all licensing costs included into the plans? What is the currency of payment? What is the duration of the subscription? Does Crello PRO include images $0.99? What is included into Crello PRO? Can I try PRO features before upgrading? Starting April 2nd, Crello has changed its types of subscriptions, and some content that was free before became paid. Now it’s only available if you have the Advanced or Pro subscription. Your previously created projects can contain objects that were included in the list of premium items. Thus, when you hover over a previously made design in My Projects, you’ll see the 'Edit design' and 'Download' options. If your project has premium items, you can download it for free if you don’t make any changes. You can use such a project for purposes consistent with our license agreement. License conditions haven’t changed and the designs that you created before can be used, but no changes should be applied. If you want to edit your project, but there’s premium content in it, you will see the message 'Your project contains premium elements' and the offer to buy a subscription. During two years Crello has been providing a huge collection of free templates and design elements, and we hope you have created stunning designs with Crello. We understand that you may find it incorrect to request a purchase since you created your design when the items were free. That’s why we offer you a free download that doesn’t require any subscription if you have created your design before April 2nd, 2019. We appreciate your loyalty to Crello and the fact that you have chosen our editor for your work. Our team has developed lots of useful tools and a collection of templates, photos, and illustrations so that you could bring your ideas to life and make professional designs easily and quickly. The free version of our service (Crello Basic) offers more than 6,000 free templates and a vast base of free design elements. If you prefer using our product for free or you aren’t sure about purchasing the Advanced or Pro subscription yet, you are welcome to create projects based on our free items. Is it possible to have a filter, that shows designs that are free and those that you need a subscription for?